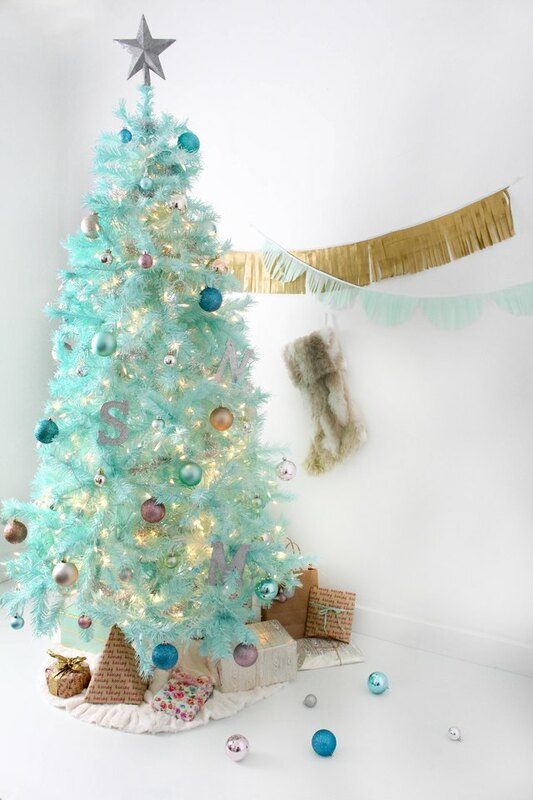 If white, forest green, or even metallic fuchsia Christmas trees aren't doing it for you this year, have no fear. Fact is, you can have any color you want! 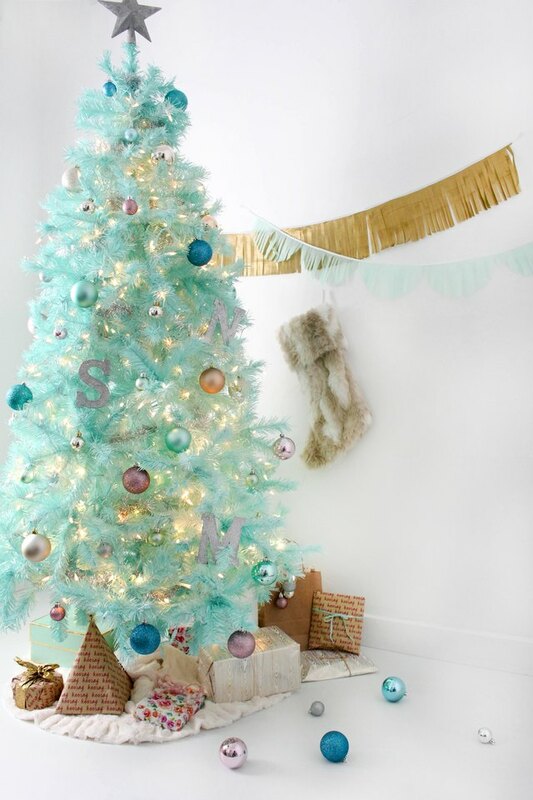 Using spray paint and an artificial tree, you can create a modern colorful Christmas tree that complements your home, in addition to being an amazing focal point and conversation piece. Find a well-ventilated spot where you can safely spray paint and be sure to protect the ground with old newspapers or a drop cloth. Set up your tree following the included directions. 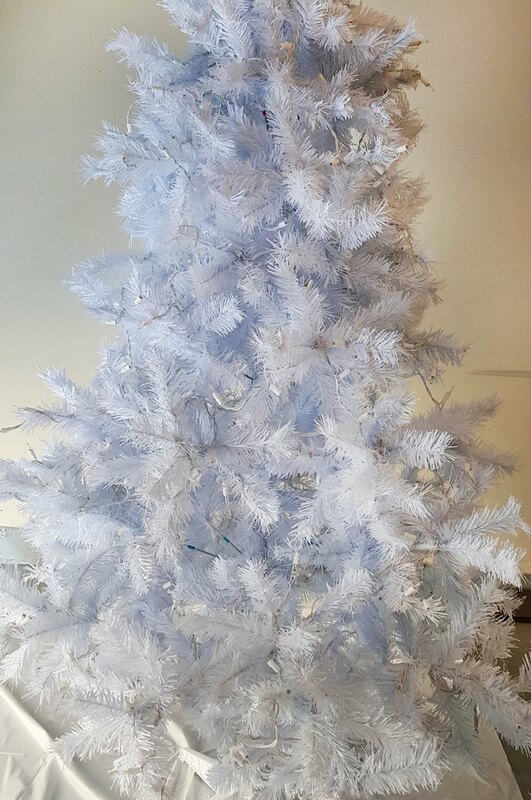 The tree used here is a white 6 1/2-foot tree. You don't need to use white but it will take lighter/pastel colors better and may need less coats of paint than a forest green one. If your tree is not pre-lit, use icicle lights to light your tree. The strand can be easily wrapped around the tree and then you can go back in and wrap the little icicle strands around branches. The best route to go is choosing a paint that already has primer in it. There are lots of options from many brands for this. If you don't, be sure to prime your tree first. 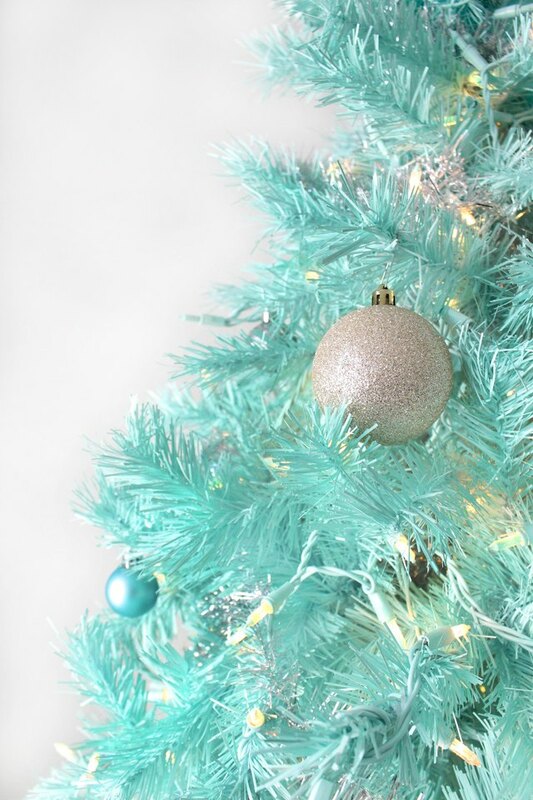 The color used here is Rust-oleum Ocean Mist. 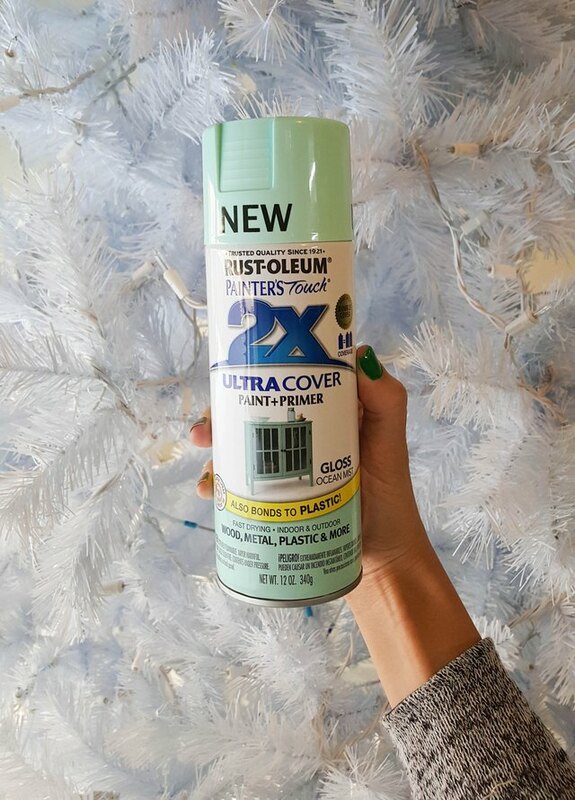 Completely coat every visible part of your tree with your paint. Allow it to dry and then repeat the painting process, being sure to cover any missed spots. Allow that to dry and then begin to move branches around. Lift branches up and separate any branches that may be too close together. 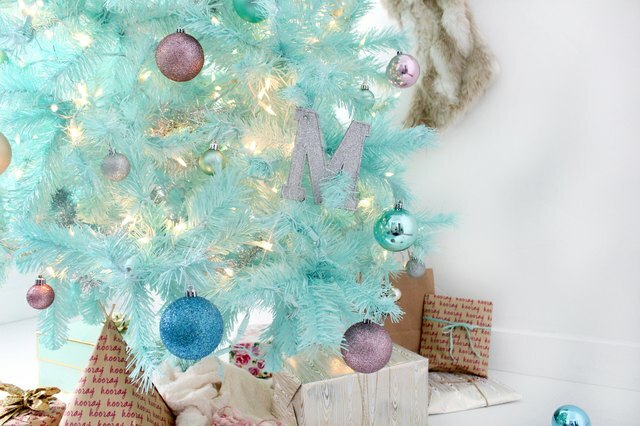 You'll find lots of bare spots on the tree left, so be sure to fill those in with paint as well. Lights can be painted! Yes, even the lit part. However, you either may not like the look of this or you may not be able to get an even enough coating on the light to make it look good. 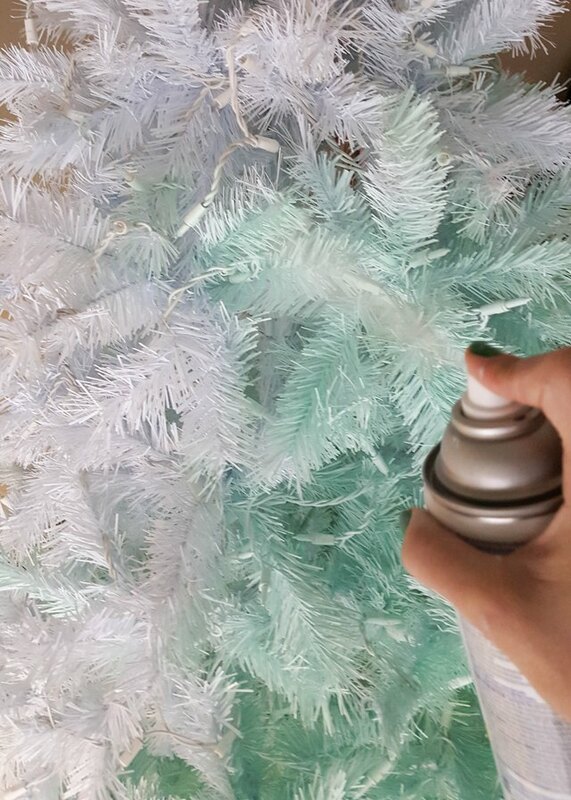 Either cover your lights as you go with tape or plastic straws or go in with a little acetone nail polish remover on a cotton swab after it's dry. Or even just scratch it off with your nails! Allow your tree to fully dry and then move it to its permanent home! Decorate as usual and at the end of the season, your tree can be dismantled and stored just like any regular artificial tree.